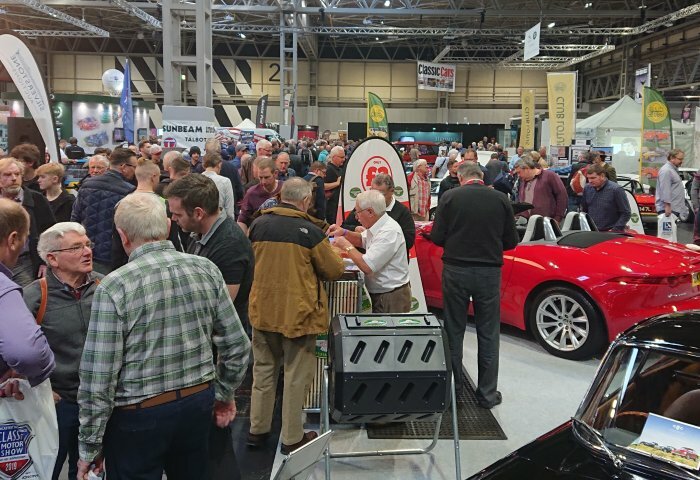 The Classic Motor Show at the NEC has become the season ending event with Clubs turning out to celebrate the years they have had, show case next years plans or generally just have a good time. 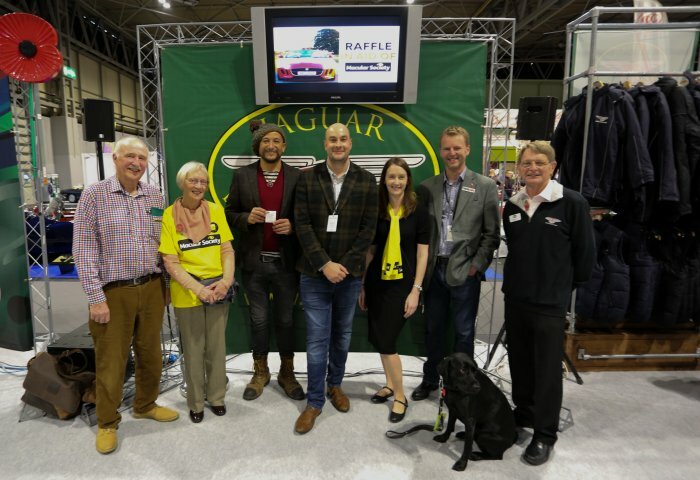 The Jaguar Enthusiasts' Club has always drawn the winning ticket for the raffle car at the show and this year we had a 2013, 3.0 ltr F-Type convertible up for grabs with all the proceeds going to support the Macular Society. This always draws a crowd an keeps us busy for the three days and this year was no different. With great help from charity volunteers as well as Club volunteers turning up to sell tickets and raise awareness of this very worthwhile cause. We even had "Darcy" the gorgeous Labrador on hand to help. The winning ticket was drawn by Fuzz Towsend and Phil Bell and the number on the ticket was 14149. 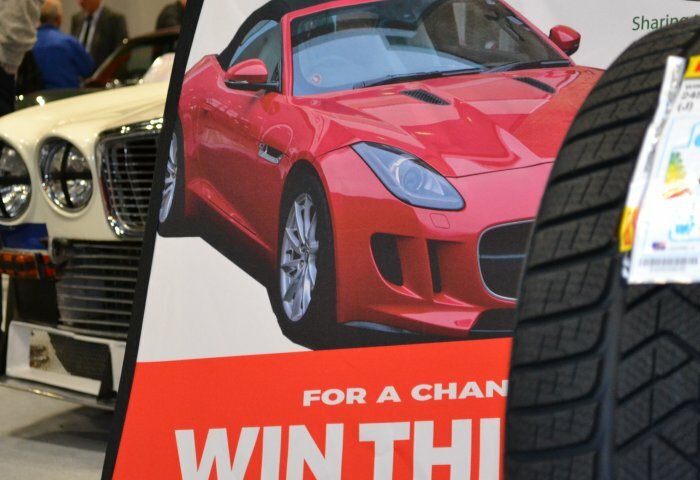 The theme for the show was "Built to Last" and nothing endures more than a legend and we know that Jaguar is a legend in the car world, so it was easy for us to build a display. We also had two anniversaries to celebrate in 70 years of the XK and 50 years of the XJ. So we presented the oldest XJ, chassis number 19, in the careful stewardship of member Adrian Massey. 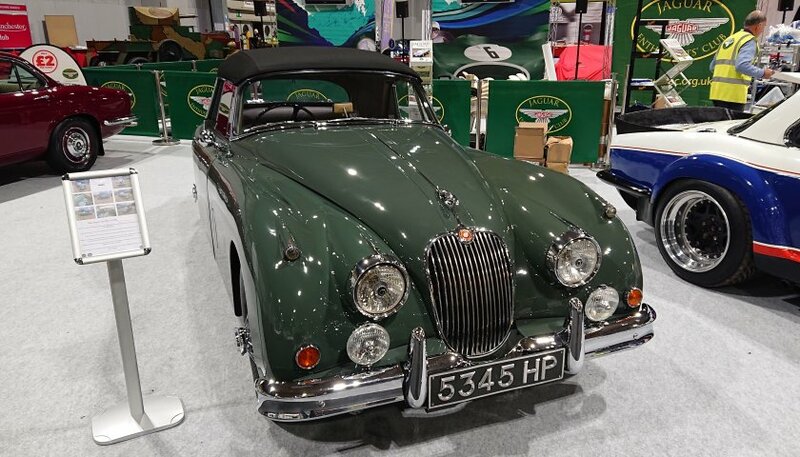 This car is notable not just for being the oldest example of a bloodline that is still being built now in its 8th generation, but also because Adrian had gone to great lengths to keep this car original. Paint, chrome, metal work all original, try replacing that piece of history! The XK was the car that shot Jaguar to legendary status, winning Le Mans, Alpine rally, holding the land speed record amongst many other accolades. To celebrate this CMC very kindly supplied a beautiful XK150 drop head. One of the last produced this was also a 3.8S, very rare and well sought after car. One of only 5 cars ever to leave in this guise, only 3 are known to exist and we were the proud custodians for the weekend of one such example. 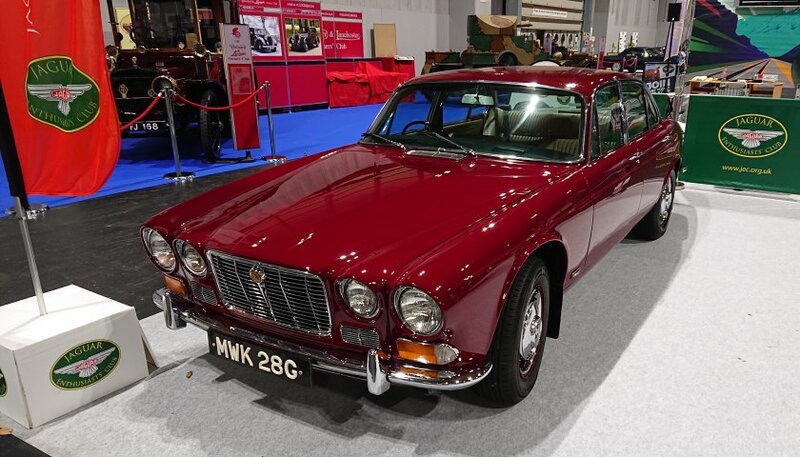 Kindly supplied by the Jaguar Daimler Heritage Trust this car caused a stir all weekend which was no surprise, the presence this car exudes is not to be ignored. 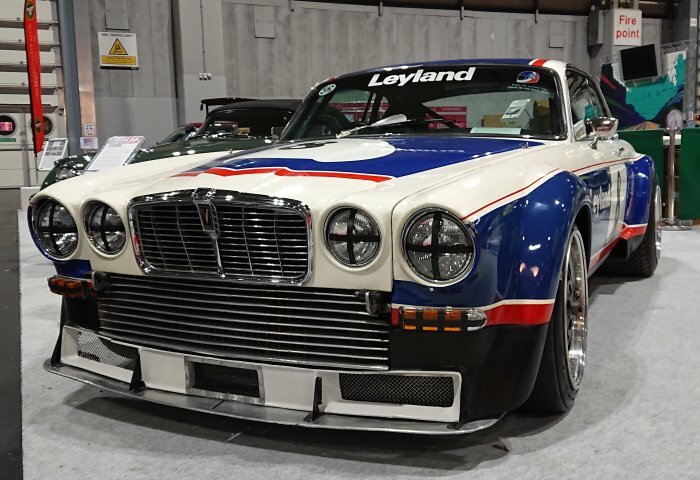 It may not have achieved everything it should have as a race car, but it is unmistakably a serious car. We also had the pleasure of meeting one of the engine builders and race engineers from the Broadspeed project, amazing! When people think of Jaguar undoubtedly the E-Type comes to mind. Again CMC gratefully supplied a beautiful example, this one in the guise of a 3.8 Flat floor fixed head coupe. 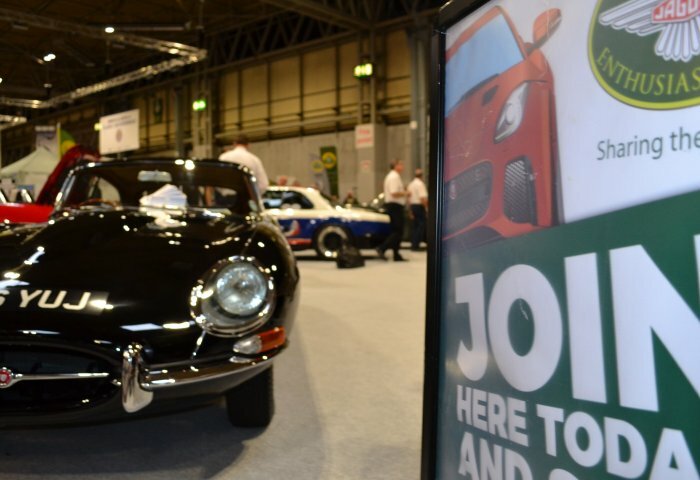 There is nothing that has not been said about the E-Type and it is all true. This truly is one of the most beautiful cars ever made. 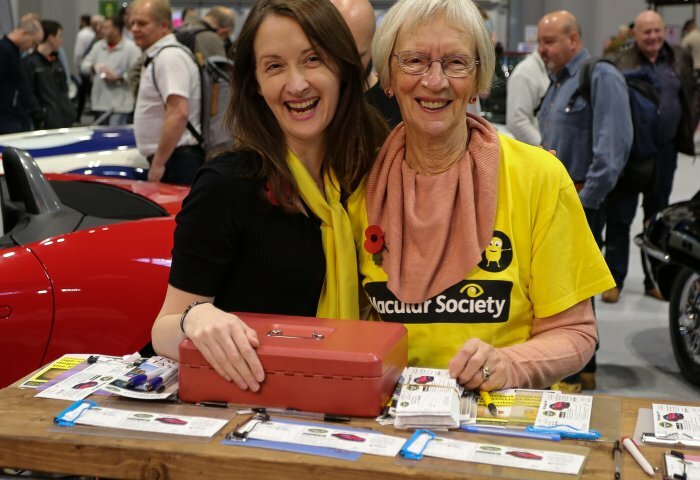 At the Jaguar Enthusiasts' Club we always try to make sure we stay up to date or ahead of the game and this year we introduced a new look retail outlet. Giving us more space and displaying our goods much nicer than before. The ultimate aim was to open up the stand even more giving visitors more room to look around the cars and enjoy the hospitality of the Club. This was very well received and returned an excellent result for the Club this year in terms of sales, memberships, raffle sales and otherwise all round good atmosphere. 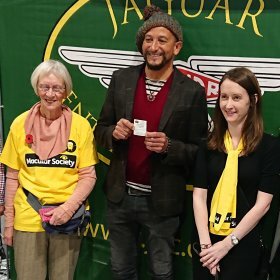 We enjoyed it and look forward to 2019 display at this event, mind you we have a whole year of indoor and outdoor events to attend first including our Jaguar Festival 2019. 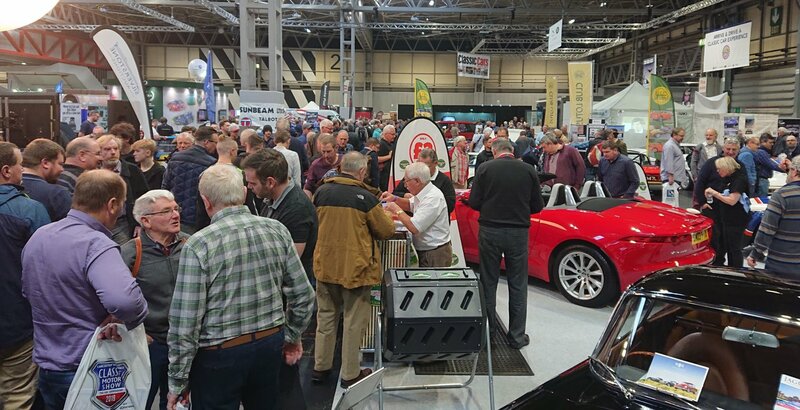 A full report will appear in our own Club magazine in the next few months as Nigel reports on all the Jaguars at the show, not just our own stand.